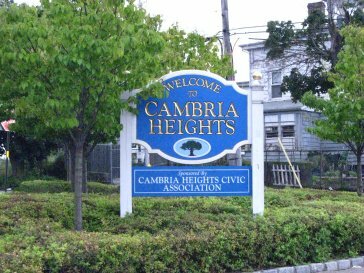 Cambria Heights is a middle-class neighborhood in the southeastern portion of the New York City borough of Queens. 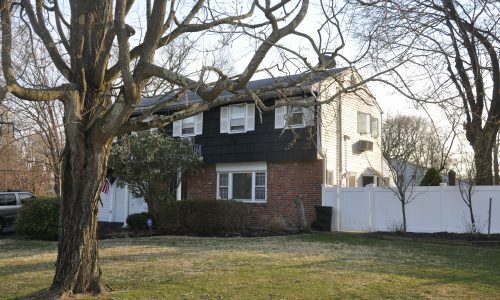 It is bounded by Springfield Boulevardand Francis Lewis Boulevard to the west, the Elmont, Nassau County border on the east, Queens Village to the north, St. Albans to the west, and Montefiore Cemetery and Laurelton and Rosedale to the south. As of 2007, Cambria Heights’s population is 20,128. The neighborhood is part of Queens Community Board 13. The town derived its name from the Cambrian era because it is known for its many fossils; at an elevation of 49 feet, it is one of the three highest points in the borough, together with Jackson Heights and Richmond Hill. The median home cost is $450,600. The public elementary schools in Cambria Heights are P.S. 176 and P.S. 147, renamed for astronaut Ronald McNair. [There are four magnet high schools on the campus of Andrew Jackson High School, which are dedicated to: arts and humanities; business computer applications; mathematics, science and technology; and law, government and community service. The local Catholic grammar school is Sacred Heart, also with a parish by that name. Welcome to Cambria Heights! 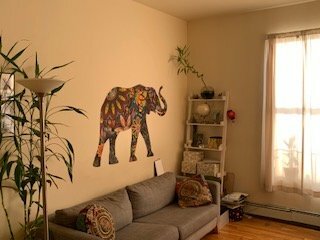 Stop By And Pay Us A Visit To See More! !